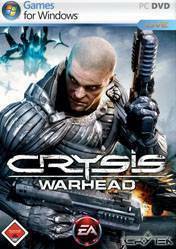 Crysis Warhead is a parallel story to Crysis, one of the best first person shooters ever created, due to physical and stunning graphics that allowed its Crytek engine. Players will once again donning the powerful Nanosuit of Sergeant Sykes, one of the most memorable characters from Crysis. We will experience Psycho\'s parallel story during the events of the original game, and see how life on the other side of the island, which takes place this first installment of Crysis, is even more intense and explosive than we ever have imagined. But calm, our Nanosuit is very capable of defending and is equipped with an even bigger arsenal of fully customizable weapons and new vehicles, giving players access to the tools they need to dominate any situation. There are no comments yet about Crysis Warhead . You can be the first one!